Wonders of nature, strength of spirit and the charm of daily life permeate every piece of EK jewelry. Lovingly designed and crafted in an inviting home studio, this tasteful and timeless collection reflects life's moments that are joyous, stirring and fun. 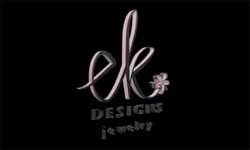 What started out in 1992 as a fun hobby that fulfilled an artistic need, ek designs has morphed into a premier jewelry design firm. Every woman will find the ideal jewelry accessories in the assortment developed by owner and designer, Lisa Kyer. The entire collection is created with the finest of precious metals, Swarovski crystals, exclusive hand blown beads, and our custom designed silver bead frames ,beads and toggles that befits these distinguished designs. In its decades of existence, the business consistently has held excellence in materials, workmanship and service in the highest regard. In keeping with a desire to contribute to the surrounding community, ek designs offers jewelry symbolic of struggles and triumphs of various afflictions and contributes to them in multiple ways. ek designs jewelry donates proceeds from the sale of such pieces to organizations that represent these diseases. The wearer of a Breast Cancer Bracelet or AIDS Awareness Bracelet garners strength from the power of the piece and the kindness of the designer. Lisa shares her passions of the heart with those who wear her jewelry. Poems and inspirational messages have been selected thoughtfully to accompany many of the pieces. As a lovely bauble for someone dear or as a beloved treasure for one's self, these gifts are meant to be cherished through the ages. 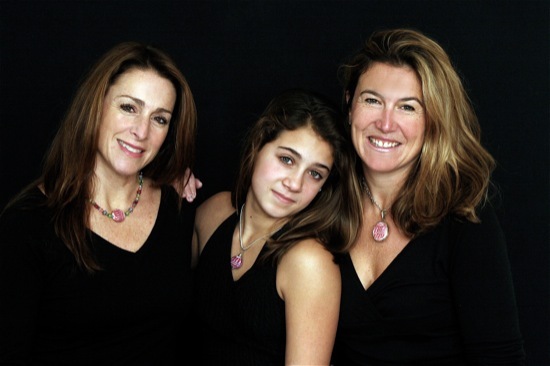 Recently relocating to the beautiful Saratoga County area of New York, the Kyer family helps support Lisa, wife and mother, in her thriving business endeavor. Accompanied by a dedicated staff of professionals who string, market and sell, ekdesigns is on a mission to continually lead the way in an ever changing, always appealing jewelry line. We hope you enjoy our site. We know you'll love the jewelry.